Randy Lee Moore, Jr. a.k.a Kidd Base was born April 21, 1999 in Selma, Alabama to Randy Lee Moore, Sr. and Mary Russell Moore. 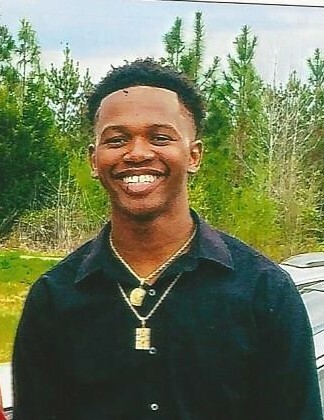 Randy attended Francis Marion High School, graduated in May 2017. After graduating he began working at Iron Horse Farms. Randy had many talents. He worked very hard at his dreams and goals. Randy loved to record music at his home studio. He was very compassionate about his music. He put his whole heart into his craft day in and day out. Randy dream car was a dodge challenger, he worked hard until his car was manifested. Randy and Latesha Jones gave birth to their first child a baby boy on April 25, 2018 which became one of his motivations to go hard at his music. Randy had a free spirit and carried a wild imagination he generated love everywhere he went and looked out for others before himself. He lived a life of no fears and would never back down from anything, he was a warrior and his loyalty could never be questioned. At an early age his father, Randy Lee Moore, Sr. taught him many things from fixing cars to operating heavy machinery. He took Randy, Jr. under his wings and showed him the work values that he possessed. Randy came from a big family his smile and big heart will never be forgotten and will be cherished by his son, Randy Lee Moore, III; his parents, Randy Lee Moore, Sr. and Mary Russell Moore; Sisters, Jermonika Lewis, Kristin Lewis (Michael) , Natalie Moore, Crystal Lewis, Shameria Moore; brother, Jermaine Lewis (Kenyatta); grandmother Eliza Burroughs; Aunts, Kim Moore (Robert), Bessie Leverette Wilson, Regina Leverette, Tasha Leverette, Tracy Russell; uncles, Tim (Lucy) Moore, Barry Moore, Jerome (Kelly) Moore, Chris Leverette, Lance Russell, Clifton Russell, Kevin Russell (Gloria) ; three nephews, Prince Messiah Brown, Michael Mohamed Mashrah, Jr., Emanuel Jay Lewis, very close friends, Elrianna , Jaquan, Stephon and Joseph; god sisters, Tyre’asia Gale, Sherika Chandler, Alvina Avery, and Shermonica Avery and a host of great aunts, uncles other relatives and friends.